This is one of the longest drives at a moderate pace. We will travel Northwards towards the Dragon by the way of Blood Mountain Georgia. 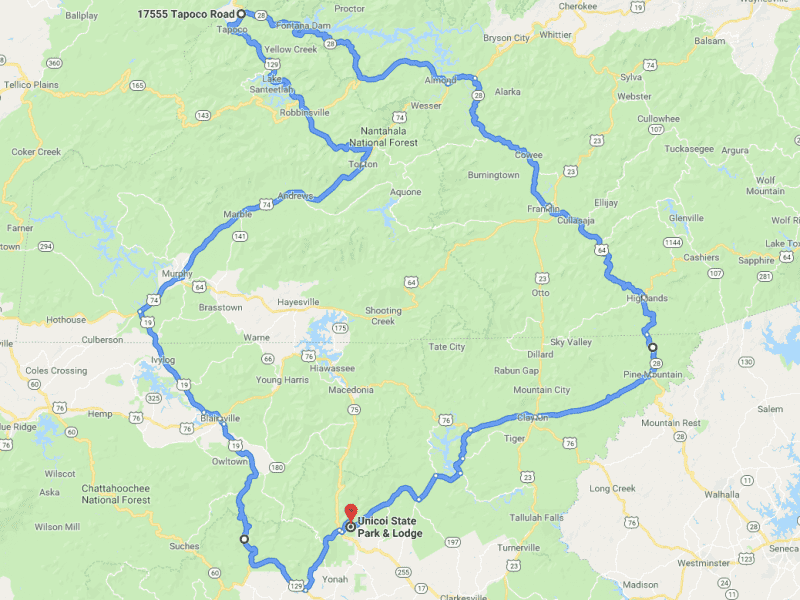 Once we arrive at the foot of the dragon we will load up our "imaginary" Shine and will proceed to run from the Law down the Moonshiner 28 all the way down to Pine Mountain GA. This drive is limited to 12 drivers. 3 have signed up already.